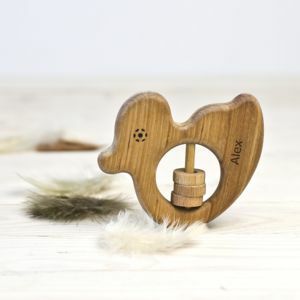 A beautifully made sturdy solid wood traditional toy by Meenymineymo that never dates and can be personalised to make an extra special gift. 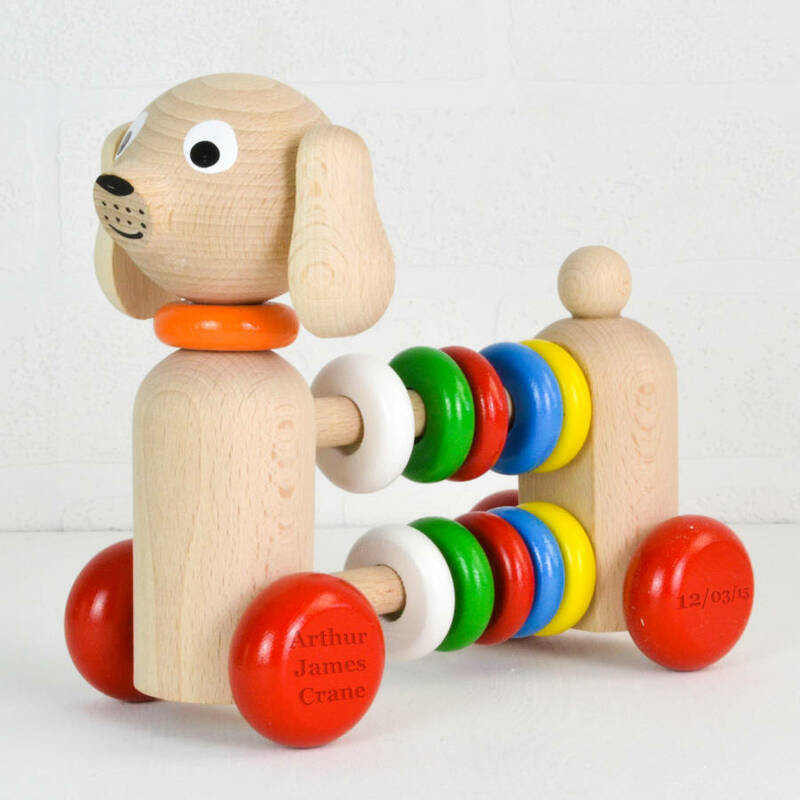 New for 2015, is this traditional hand-painted push along wooden toy dog with added abacus / rattle beads. 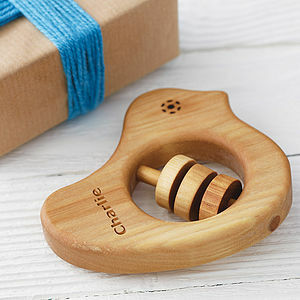 Makes a beautiful gift for new baby, christenings, birthdays and christmas, this toy will be a treasured keepsake. The engraving will go across the wheels, so please just select engraving and let us know what you would like on there. 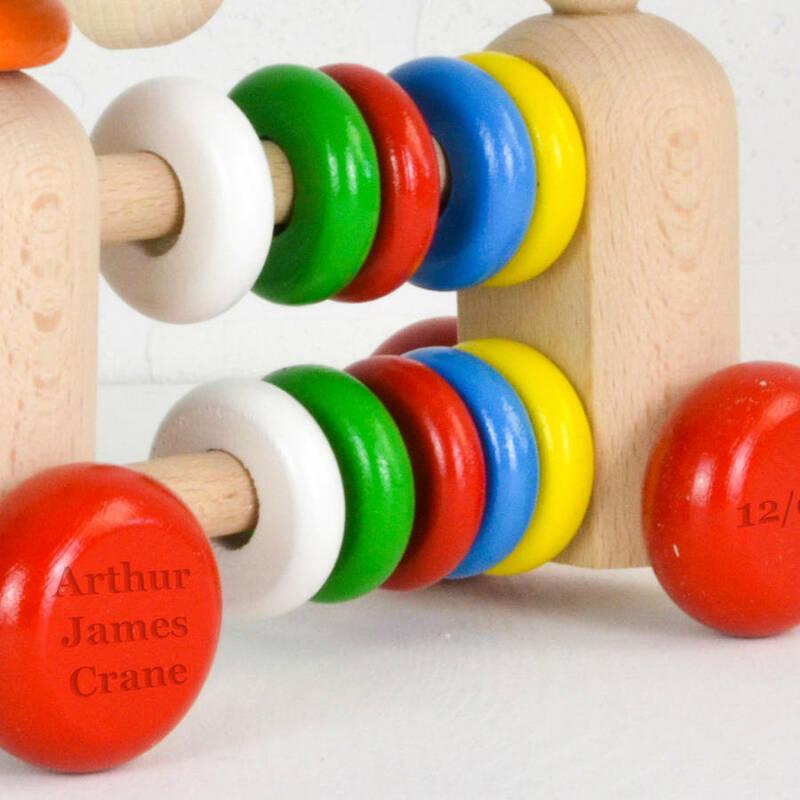 We recommend no more than around 50 letters including spaces to keep from the lettering going too small. Any enquiries, please don't hesitate to contact us through the customer enquiry form. 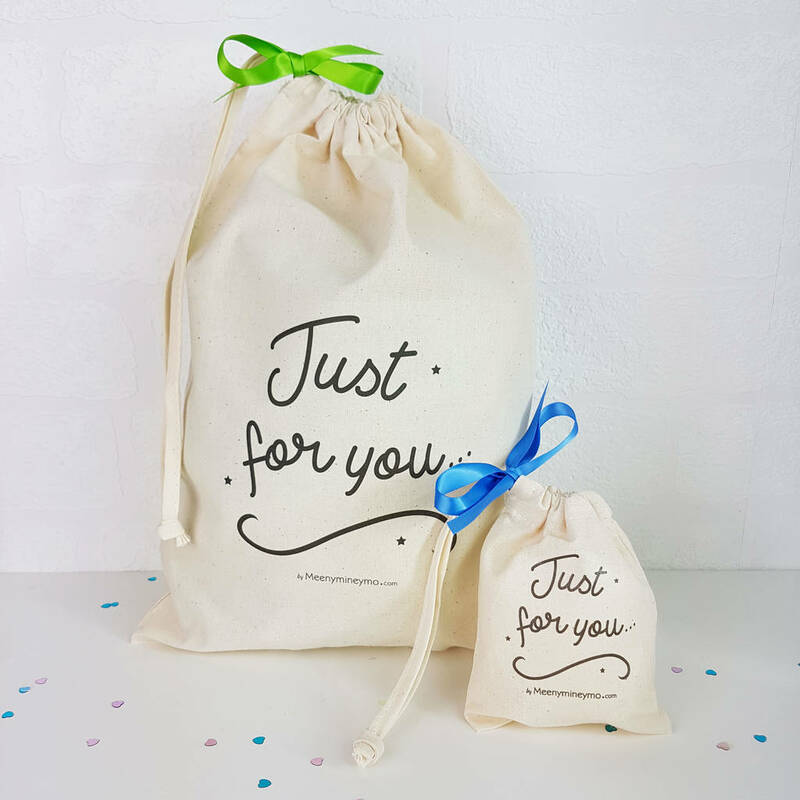 Your item will arrive wrapped in tissue paper, or why not have it gift wrapped in a cotton drawstring bag with a printed gift tag? 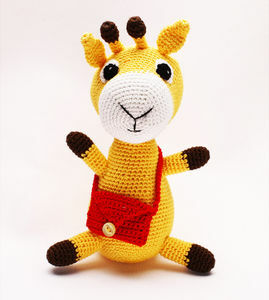 We can also send direct without including an invoice so please select gift note and write your message required.